Before the recent slowdown of the Chinese economy, the demand for commodities in Latin America benefited the region and its countries. The exports of raw materials from Latin America to China are key to explaining the successful performance of the region’s economy in recent years. The sales of energy resources, minerals, and foodstuff have involved a considerable transfer of wealth from China, which has helped boost economic regional growth above 5% of GDP. Under these circumstances, the region has managed to reduce its macroeconomic imbalances and its vulnerability to external shocks, while largely tip-toeing around the consequences of the international financial crisis. However, Chinese investment in Latin America should not disguise the limitations and the sense of fatigue that seems to plague the strategy employed by Beijing to favour its presence in the region. Chinese trade, foreign direct investment (FDI), and loans are quite concentrated in a few countries and sectors. Brazil, Mexico, and Chile comprise 60% of all Chinese trade with the region, which peaked at $274bn in 2013; Brazil, Peru, and Argentine receive 80% of total Chinese FDI to Latin America, around $50bn; and Venezuela, Brazil, Argentine, Ecuador, and Bolivia count for over 90% of the $120bn lent by Beijing to the region. Almost 75% of Latin American exports to China are commodities (energy resources, minerals and foodstuffs with scarcely any processing) and 80% of Beijing´s loans are devoted to infrastructure and energy. In addition, the asymmetry in the trade between China and Latin America may have acted as a barrier to industrial development in the region. Whereas the region essentially exports raw materials to China, Beijing sells manufactured goods of varying degrees of technological sophistication to the region. This trading pattern could lead to a reprivatisation of Latin American economies and the development of various industries may be impeded as a consequence of the wholesale entry of Chinese products. This point is illustrated by the way the structure of Brazilian exports changed between 2001 and 2010, when manufactured products declined from 57% to 39%, whereas raw materials climbed from 26% to 45%. Moreover, China has resorted mainly to a State-to-State model of interaction as a means of securing the provision of energy sources and commodities, and opening doors for its companies. This is evident in the $56bn in loans to Caracas that is equivalent to the stock of Chinese direct investment in the whole of Latin America. In this way, Beijing uses its considerable liquidity to underwrite contracts for its companies in questionable conditions, with little competition and relatively lax working and environmental standards. These practices reduce the positive contribution of China to the development of Latin America, and have triggered violent protests in different Latin American countries. A significant part of that discontent has come from communities affected by investments in the energy and mineral sector, such as in the Zamora-Chinchipe mine (Ecuador), in Piura (Peru), Colquiri (Bolivia), and Cerro Dragon (Argentina). In this context, Beijing understands that its relationship with Latin America would be more effective and sustainable if it benefitted from greater knowledge of the region. For example, if its companies knew how to deploy themselves better in these markets and adhered more scrupulously to local laws and norms; and if its financial commitments translated into greater economic development for the recipient countries. If China was to take such action into consideration, Chinese investment probably would not be so heavily protested. The desire on the Chinese side to move relations forward with Latin America in a more sustainable way offers new opportunities for the development of the region, even if the times of Chinese skyrocketing demand of energy and raw materials are gone. Various official pronouncements issued last year have helped matter progress further in this direction, such as during the first China-CELAC ministerial summit and Li Keqiang’s tour of Latin America. Chinese strategy in the region seems to be moving towards investment of higher quality, incorporating sectors characterised by more advanced technology and greater knowledge content. Thereby, China is helping contribute to the region by achieving a qualitative leap forward in its industrial fabric. A recent joint report issued by the OECD, CEPAL, and CAF, entitled ‘Latin American Economic Outlook 2016: Towards a New Partnership with China’, underlines how China could contribute to break some of the central structural barriers which hinder economic development in the region, improving infrastructures, increasing the capacitation of the local labour force, and providing new sources of investment. 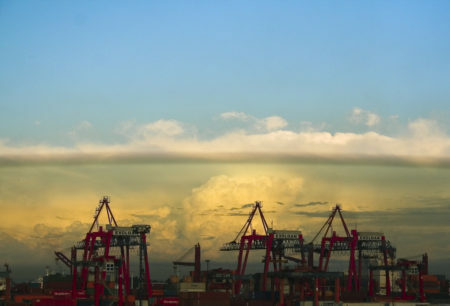 The China-Latin American and Caribbean Countries Cooperation Plan (2015-2019), signed in Beijing on 23 January 2015, includes commitments to mutual investment in manufacturing construction equipment, petrochemicals, agricultural product processing, clean energies, mechanical equipment, automotive, aviation, ship and marine engineering equipment, transport equipment, electronics, digital medical equipment, information and communication technology, reciprocal transfer of technology and knowledge on biotechnology, food and medicine. If that new pattern of China-Latin America economic interaction materialises in practice, it would foster sustainable and long-term economic development in the region, through deeper insertion of the Latin American countries into global value chains and the diversification of their economies. China will not be associated anymore with just a commodity boom that brought short-term economic gains and the reprivatisation of the Latin American economies, but be regarded as a key partner for the development of the region. This scenario has a double-edged impact on EU’s interests. On the one hand, in order for China to reduce the attractive influence of the EU, it would need to convince countries whose prospects of joining the global value chains would be made easier with the help of China. On the other hand, China’s greater presence has the capacity to contribute to the development of the region and is giving rise to opportunities for cooperation and synergies with EU players, both public and private, across multiple spheres. It is important, therefore, to avoid simplifying China’s presence in Latin America, with the danger of succumbing to all-or-nothing interpretations that have little connection to reality with the consequence that attractive opportunities for cooperation are overlooked.